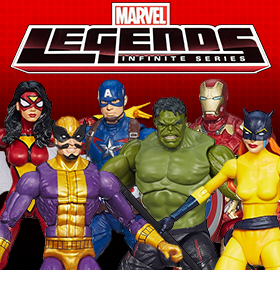 Toy Nippon: BBTS News: Bandai, Marvel Legends, Age of Ultron, Batman, Star Wars, Transformers, TMNT & More! 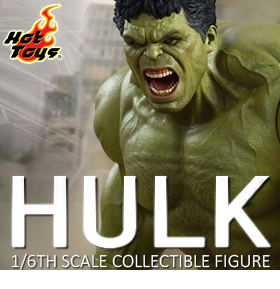 BBTS News: Bandai, Marvel Legends, Age of Ultron, Batman, Star Wars, Transformers, TMNT & More! 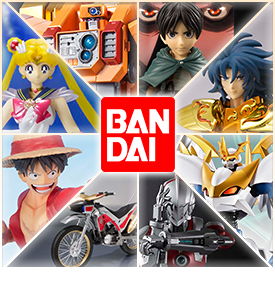 We have 18 new and restock pre-order listings from Bandai. This menu includes figures like S.H. Figuarts Super Sailor Moon for $37.99 and Sea Dragon Kanon from Saint Cloth Myth EX for $87.99. We also have listings for lines such as Digimon, Ultraman, Soul of Chogokin, and Attack on Titan, Gundam, Kamen Rider and more! 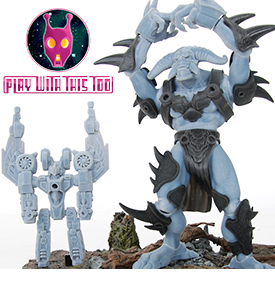 Check out this awesome new Kickstarter campaign just launched by our friends over at Play With This Too! These 6” figures have tons of play value with interchangeable heads and weapons, so pledge today on Kickstarter. Sideshow Collectibles and Prime 1 Studio are pleased to present the Donatello, Raphael, and Leonardo Poly-stone Statues from the film Teenage Mutant Ninja Turtles (2014). These very large and amazingly detailed statues feature movable eyes and themed bases that can be connected together for a truly impressive display. We have Donatello listed at $749.99 with Leonardo and Raphael priced at $699.99 each. Continue your amazing collection of The Walking Dead mini busts by Gentle Giant with the all new Glenn Rhee Mini Bust! Digitally sculpted using photographic reference directly from the set of the hit TV series, this limited edition and individually numbered statue is made of high quality polystone and hand painted. This bust comes with a matching certificate of authenticity. Venom Snake from “Metal Gear Solid V: The Phantom Pain” is now a Revoltech Mini figure from Kaiyodo! Standing about 4” tall, this rugged looking snake has a prosthetic arm and shrapnel stuck in his head. He’s fully articulated for all kinds of sneakin’ around action, and he’s fully equipped with a pistol, knife, bazooka, iDroid, goggles, a cigar, multiple interchangeable hands, and a base. His one remaining eye is even movable! 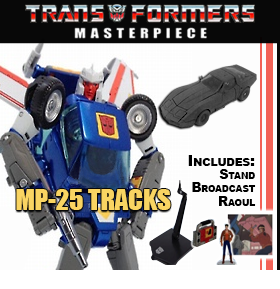 We have several new figures in the Robots in Disguise line. In the Series 03 Legion figures we have Underbite and Fixit priced at $23.99, and in the Hyper Change Series 02 we have Optimus Prime and Steeljaw priced at $44.99. Oliver Queen defends Starling City in this all-new bookend from the hit CW show Arrow: The Television Series! Standing on a clock tower base, Arrow dons his mask and draws his new bow as seen in Season 2. This bookend is made of high quality polystone and stands approximately 9 inches tall. Is your Fan’s Project Intimidator just not intimidating enough? Well, we’ve got just what you need to upgrade this already impressive figure. This add-on kit provides updated elbow joints for the Fan’s Project Intimidator combiner figure. Now your Mr. Potato Head can save the day disguised as your favorite Marvel superhero. We have the Classic Scale Case of 2 up for pre-order for $23.99 that includes Spider-Man/Peter Parker and Iron Man/Tony Stark. We also have a new collector four-pack in the mini scale for $14.99 that includes Captain America, Wolverine, Iron Man and Spider-Man. This cool 12” tall die-cast and plastic robot figure by Marusan Toys is from Gordian Warrior (Toshi Godian), a Japanese Anime television series that aired from 1979-1981 with a total of 73 episodes. The human pilot Daigo Otaki controls the smallest robot named Protteser which fits inside a bigger robot named Delinger, which fits into the largest robot named Garbin; and joins an organization of law enforcers to defend Victor City. At last; there is hope, after all. Sideshow Collectibles and Prime 1 Studio are proud to present the Drift Polystone Statue from Transformers: Age of Extinction. Drift is a master of ancient weaponry who long ago, fought for the Decepticons. The scars of battle changed his thinking, and now Drift wields his swords as a member of the Autobots. These intricately sculpted and hand painted 8” resin statues by Albatross Japan would be a great addition to any Godzilla or kaiju collection. We have Godzilla 2001 and Baragon 2001. Enhance your home theater or Marvel collection with these limited edition film cells and other wall art from The Avengers: Age of Ultron, Iron Man Trilogy, and Guardians of the Galaxy. This menu includes the double-matted and framed film cells of characters and scenes from the top Marvel franchises. We also have bookmarks that contain a piece of real film from the movies, as well as the new photo-quality MightyPrint Wall Art. X-Plus brings you the Toho 12” Vinyl Mothra 1964 for $244.99 and the Godzilla 1991 for $314.99, as well as the Fairy Tale Gigantic Lucy Heartfilia for $184.99. The renowned holy knight is realized in a spectacular white pearl paint and comes with a highly detailed Omega Blade accessory. Along the blade reads the DigiCode for the word ‘Initialize’. This figure comes with 3 interchangeable hands, display stand, and a support joint. FiguartsZERO is celebrating its 5th anniversary with a special line-up of stunning new One Piece statue figures. These figures feature clear material throughout to create a more dynamic quality, and meticulous detailing adds depth and realism. They also come with sound effect option parts and special display bases that make them appear to come straight out of the manga. Get your hands on everyone’s favorite pirate, Monkey D. Luffy or the adorable Tony Tony Chopper. This collaboration of cosmic proportions combines the superior articulation technology of S.H. Figuarts and the exceptional sculpt detail of Ultra-Act in this incredible 6” Ultraman Figure. He comes with 3 interchangeable wrist accessories, 2 interchangeable hands, Spacium Ray effect with attachments, and interchangeable chest piece. Grab your Three Dimensional Maneuver Gear and get in on the action because Attack on Titan is coming in a cool, compact and collectible size to TAMASHII BUDDIES! Protect your desk from nasty Titans with your very own member of the Survey Corps. Each TAMASHII BUDDIES product comes with an attached stage, display card, and frame set. You can also stack with any other BUDDIES you own! We have Eren Jaeger and Levi up for pre-order. Kamen Rider Kuuga's police bike inspired TryChaser 2000 is coming to S.H. Figuarts. The body is meticulously colored in Kuuga's signature red and gold. Clear parts are used for the headlights, embodying the same level of realism from the show. Use the included joint piece to display Try Chaser in action packed, mid-air poses! Set comes with hand piece gripping the handle and back wheel support display. Ideal for enhancing battle scenes with extreme collateral damage caused by being kicked through walls, explosive impact, or massive power build up cratering effects, these extensive effect accessory sets will be initially available in either gray or beige and can be used with Tamashii STAGE support stands (sold separately) and action figure lines such as S.H. 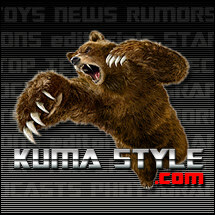 Figuarts to create extreme action sequences. New to the Greenlight Collectibles Hollywood Series, these 1:64 Die-Cast vehicles from Breaking Bad are sure to enhance any die-cast car or Breaking Bad collection! We have the 2012 Dodge Challenger SRT-8 and the 2012 Chrysler 300 SRT-8 both listed for $5.99 each. We also have the 1986 Fleetwood Bounder RV known as “The Crystal Ship” for $12.99. These 6” tall figures by Zolo World feature interchangeable bodies and heads, weapons, and some may even have glow-in-the-dark parts as well as bonus SLIME. This set of 4 includes Toxic Terror Hercules, Sinister Sludge Archfiend, Krystal Kry-sis, and GROOZE-SUM. This aftermarket accessory kit is a flight pack upgrade kit meant to make your figure resemble Optimus Prime from “Transformers: Dark of the Moon”. It will work with both Striker Optimus Prime and Revenge of the Fallen Leader Optimus Prime (both sold separately) and has a metallic finish. These new, limited edition 8” Mego-Style figures by Nemo Publishing are handcrafted and designed by Jay Piscopo and come in clamshell packaging featuring artwork by Jay Piscopo. We have The Black Bat, Sea Ghost, The Red Panther, Jack Danger, Rogue Agent Zero, Knight Avenger Commander X, Under Sea Knight Commander X, Archer Knight Commander X, Barbary Knight Commander X, Western Knight Commander X, 1950’s Commander X, and Commander X. These amazing figures are full of details and are perfect for any fan of Mazinger or giant robots. The Mazinger figure includes Koji Kabuto’s Pilder which you can remove from Mazinger’s head and open the wings. Aphrodite includes Yumi Sayaka on the top of Aphrodite’s head. This set of 7” articulated figures comes with a collectible display base. This much anticipated figure in the ever popular FiguartsZERO Dragonball series has an interchangeable right hand part allowing for recreation of two out of this world attack poses! The billowing cape and smoke effects come together to create a realistic and dynamic pose. Now you can learn the whole story behind the world’s greatest fighters in this hardcover encyclopedia. Inside this updated and expanded edition, you will find detailed profiles of every Street Fighter character, including their origins, personalities, allies, enemies, and more! Now your Star Wars Rebels figures have a way to travel with the Series 03 Set of 2 Class II vehicles. This set comes with the Inquisitor Tie Fighter and the Imperial Troop Transport. Are you ready for the second set of Minimates based on the Big Bang Theory? This set of figures from Bif Bang Pow! includes Sheldon (The Flash Shirt), Leonard, Penny, and Bernadette. The toughest Pop! on the block now gets a new ride! Check out this cool new stylized Daryl Dixon sitting comfortably on his chopper. Increase the coolness factor of your Walking Dead or Pop! figure collection with Daryl Dixon on his Chopper. Clem is an original character in Telltale Games’ The Walking Dead video game series. This mature, kind, and polite little girl is the moral compass of the group and tries her best to maintain the humanity of her fellow survivors in a post-apocalyptic world. We have both the regular and bloody versions of this exclusive figure in stock. This figure stands just over 9 inches tall in robot mode and the chest opens to hold 3 KFC cassettes at a time. This guy comes with 2 blaster guns, a comic book and manual, bio card, 2 different version heads, and some bonus gifts. This figure stands nearly 8” tall in robot mode and transforms into a classic PlayStation system (non-functioning) complete with controller, memory card, and detailed electronic replications on the back panel. Three more figures in the Pop! Avengers Age of Ultron series have just arrived! Joining Hulk, Captain America and Hawkeye, we now have Thor, Vision, and Ultron available in stock. Fan-favorite Daryl Dixon, from AMC’s hit television series The Walking Dead, is a lone wolf survivalist who has proven time and again to be a vital sentinel for his group in the unpredictable and perilous apocalyptic world. This deluxe box set features Daryl Dixon with his iconic chopper motorcycle. Increase the firepower of your Feral Cons with this set of six specially designed rifles and cannons by Professor Heisenberg.